How To Take Control Of Your Brand’s Online Reputation? Take control of your brands online reputation. Almost every business has had at least one issue with its customers. It is always recommended to resolve the issues before the customer posts anything about it on the online review sites. The Internet has become a powerful communication medium and the world of mouth through it can travel far and wide and with high level of effectiveness. If you are serious about maintaining your online reputation, the following tips should help you. A simple search about your brand should give a lot of links on the search results pages. If you control your SERPs, you will be in control of your business’ reputation. What can you do to improve your results? Check your search results at least twice a month. Look for negative content that appears in the top results. When you come across negative comments and reviews, contact their creators and take corrective measures. Chances are that you could do a lot to convert the negative reviews into positive ones. You should not only turn the negatives into positives, but also increase the degree of positives. There will be many positive reviews and comments. Make sure that your respond warmly by thanking their authors. This could help you build an even stronger reputation and turn your customers into loyal clients. You must have already created your brands’ accounts on social media sites. If not, make sure to start building them. Make sure that you have a presence on all the major social sites and that the profiles are complete. Besides, they are meant to be updated regularly. Google now gives more importance to social signals than ever before. Thus, you social updates are highly likely to appear on your top SERPs. The social sites that Google takes more seriously include Facebook, Twitter, Google+, Pinterest, LinkedIn, SlideShare and YouTube. It is also important to link tighter all of your social profiles. If you create and leave your social profiles as such, chances are that others could hijack your brand name. Blogging isn’t just about SEO. It can prove to be a powerful tool to help put your brand on top of the results. Your blog should have a domain that includes your brand name. Start creating and posting articles that contain positive information about your products, services, industry news, and other relevant information that can be of use to your target audience. Blog posts will not only display on your SERPs, they can help create a positive online presence. They can also push down the negative comments which you find to be practically irremovable. Besides, the SEO benefits of blogging can help generate massive volume of targeted traffic. If you don’t have a blog or would like to find out more on how to create your own website click here. Adam is a small business consultant with more than a decade of experience in the SEO and Website Design Calgary industry. He has seen the industry grow from the initial years of Internet revolution. Currently, he spends more of his time providing consulting services to help Alberta businesses. On 25 July 2014 Google released a significant new local SEO update which has been nicknamed ‘Google Pigeon’ by Search Engine Land. As with all of Google’s algorithm updates, there will be winners and losers, however this particular update is designed to reward websites with good local SEO, rather than penalize websites for bad SEO, which Panda and Penguin did. Pigeon was released initially just in the USA, however is expected to fly to Europe and the rest of the world soon. Google Pigeon has made four significant changes to the way that Google rank websites and each of these has implications for the best way to optimize your site. If you’re targeting local SEO (e.g. you’re a bricks and mortar business and are looking for clients just from your city) and noticed a drop in traffic to your site on the 25 July 2014, this suggests that your local SEO may be lacking in light of Google’s new algorithm. If you didn’t notice much change, or saw an improvement, this article can help by suggesting some additional measures you can take to further benefit from Google’s latest algorithm update. What’s Changed And How Does It Affect My Website SEO? In the following section we look at each of the four changes and explore how you can benefit from them when we make a website. 1. Google are providing “more accurate and relevant search results in Google Maps” by linking this more closely to organic search results. Most users will find that when they search for e.g. “hotel” or “restaurant” in Google part of the results will be a list of Google Places connected to a map. These are shown partly based on proximity to the current location, or the city center if you also enter the name of a town, however Google also take into account organic SEO and with this latest update, your organic SEO is more important than ever to claim the first listing on the map. To benefit from this, ensure that you have good on-page content on your site that reads well and is interesting and build high quality links to your site from relevant and reputable websites. Nothing new there! 2. Google have improved their “spelling correction and synonym features”. A long time ago we had a web page called “spot the difference” which received a huge amount of traffic because it was well optimized and we’d accidentally misspelled “difference”, which it turned out thousands of people searching for this phrase also did and voila – they found our site. The Pigeon update is part of a general trend for Google to correct typos that people enter before showing results and to also consider related words and synonyms; so how does this affect your SEO? These days if someone searches for “spot the difference”, Google assumes you meant “difference” and presents the same results. This means that there’s no need to use common typos of words or bad grammar just to get those keywords on your page. If you’re writing in a foreign language like French, it’s also advisable to use correct accents on your site. Google now rewards sites with good spelling and grammar and as their algorithms become more sophisticated this means that webmasters can focus on writing good content and worry less about getting every possible keyword combination into the text. It’s still important to use keywords in your Meta-tag Title, Description and H1 header, and a few times on the page, but your overall focus should be on how your content reads. 3. Google have improved their “distance and location ranking parameters”. This suggests that people using Google will see more specific results that are local to them, so if you enter a generic search phrase without a location, more of the results will be from local websites and Google will use more factors than just the IP address to determine where someone is. Include the name of the city where you’re based in the Meta-tag Title, H1 header and text on your home page. Include your address in the footer or at the bottom of a side-bar on every page of your site. Ensure that your who-is information is up-to-date and matches the details on your site. Find local news sites, directories or blogs and see if you can get them to link to you. Be creative, as different approaches will work best with different sites. Some sites will have a submission form, with other sites, you might be best offering them an interesting story in exchange or including a link to you. Local directories like Yelp have seen a significant improvement in their SEO position since Pigeon. Before Google Pigeon, Directories had had some bad press in the SEO world and having an excessive number of links from poor quality directories can get your site penalised, rather than rewarded. The Pigeon update seems to have taken steps towards restoring the balance and it’s a good idea to submit your site to some of the better directories. Avoid directories that have a low trust value. The best way to find good directories to submit to is to simply enter your keywords, look through the first 10-20 pages of results and whenever you see a directory among them, submit your site to it! Given number 3 above and the improvement in distance and location ranking parameters, it’s important that the name, address and phone number you use when completing the directory submissions are the same as the ones on your own site. This might mean more spam, but it will also mean more real inquiries. Google Pigeon rewards websites that have good local SEO, good spelling and grammar and clear indicators of where they’re based, both on the site itself and on other sites linking to them. The better directories are also appearing higher since Pigeon. Taking this into account means that there are some simple improvements you can make to improve your local SEO. This article was written by Martin Woods, the co-founder and Marketing Director of Indigoextra Ltd. To read more about Indigoextra’s SEO, marketing and web design services visit www.Indigoextra.com. Martin is passionate about SEO and enjoys solving the ever unraveling puzzle which is Google’s algorithm. He previously wrote cryptic crosswords for The Big Issue, a homeless charity in the UK and now lives in Montpellier, France with his wife and two boys. Matt sets us all straight by saying having a site with a large number of indexed pages doesn’t automatically result in a higher ranking. That’s not the way it works. To answer the question “Does a site rank better if it has a lot of indexed pages” Matt says if you have a large number of pages that have been well optimized with various different keywords on them then you do have the opportunity to rank better for those keywords. Remember that just having a lot of pages with duplicate and useless content on your site will not help you rank better and you will not get any ranking boost from Google. The good thing about having a lot of pages, Matt says, is that each one of those pages could have links from other high authority websites pointing to those pages. This is great for your SEO, and you know what that means a higher page authority. This could mean that Google spiders would crawl deeper into your website. Sites with high page authority might mean that it’s a better match for users’ queries. Matt tells us that a site or blog with a large number of pages gives you more opportunities to rank for specific search queries. The only reason that you get those golden opportunities, is because of the number of high quality links back to your site that have helped your site achieve a higher page authority. What have we learned from Matt Cutts latest video on does a site rank better if it has a lot of indexed pages? Well its not about the quantity of pages a website should have but rather the quality. To have a lot of pages that generally have useless content is a waste of time your time. Each page you build try to make it interesting for the visitor, don’t copy from other sites, select keywords that are well searched and keep to the topic of the page. If other visitors find the content interesting you could find they will link to it. We know that two of Google’s most important ranking factors are page authority and good inbound links. Think of your site as a apple tree, and the pages as apples. If your tree had 200 rotten apples they would be useless and no one would want to buy any. Now if you had 50 big juicy red ripe apples they would be easy to sell. My point is when you build a website with lots of pages with no quality content (rotten apples) won’t help your site rank. Rather build less pages but make sure they are top quality (big juicy red ripe apples). You need to have a site with high page rank and a large amount of good natural quality backlinks pointing back to it, backlinks should point to your home page as well as other pages on your site. This gives you the opportunity to rank for more queries because Google will be more inclined to crawl your site and index your pages accordingly. The bottom line is, with all other things being equal, one site won’t rank better than another one just because it has more pages. Does this make you rethink your SEO strategy? Are you going to change? Do You Need Inbound Links? The art of natural links on your website is so important. When Google spiders follow links from other websites to your site they will know if these links are natural or unnatural. Any unnatural links you have coming back to your site could be a sign of disaster and damage your websites chances of ever ranking high in search results. If you want good results make sure that your back-links are natural. Your backlinks must appear natural to Google to achieve the art of natural links, when you backlink be careful with the anchor text you place on websites that you use to link to your site. Its better to use your URL and different versions of it. Example: If some was going to backlink our home page they would probably say something like this “www.2createawebsites.com has lots of web design tutorials”. Or “http://www.2createawebsites.com has lots of web design tutorials”. Or “2createawebsites.com has lots of web design tutorials”. This would appear natural to Google. The person that backlinks would not use a keyword in the anchor text. You need to learn the art of natural links when you backlink. Also we always look for do follow links these are great but you need to have no follow links as well and lots of them. Link building should also be done on a regular bases and more or less the same amount of links should be built each month do not build 1000 links one month then none the next, maybe every Monday build 5 or 10 good quality links from high authority sites that have the same topic as your site. If you get the art of natural links correct your site will be very busy. In the following infographic, our friends at Vertical Measures explain the “art of natural links.” There are some great tips here to try and show you the correct way to build natural links follow them. 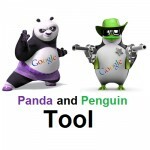 Google Panda And Penguin Tool. Have you lost visitors? Not sure why, use the Google Panda and Penguin Tool. This SEO tool will show you the date of each Penguin and Panda update using your websites Google Analytics. If you have had a sudden drop in visitors on a certain date you will be able to see which Penguin or Panda update effected it. Sign up. If you have more than one site with Google Analytics you will be able to select which site you want to check and see how Google’s algorithm updates have impacted your website traffic, is it Panda or Penguin. See the above image. When looking at the graph if you have a decline after a update then you will be able to click on the line and a pop up will open with a brief detail of the update. In the pop up is a link, click on the link to find out in more detail about the update. This is very useful information, it will guide you in finding out what could be the problem to why your site has dropped on Google. Using this information, remove the violation, update your site to comply with the Google Panda or Google Penguin update and after a few weeks your site will start to recover. Check your keyword variance, find out all the different keywords that have been used to link back to your site. You can check your keyword variance on each page. When we use links we always try and place keywords in our link title or anchor text to help our website rank for those keywords. You need this to look natural. Using keywords in anchor text for SEO is not always good. Strange but true. You do not want to add anchor text to all your backlinks as you are building your backlink infrastructure. It should be a good mix. Using just the website URL in backlinks look very natural and pass along link juice to your sites so it would make sense to add them into your SEO strategy. If you use a link to refer a website you would probably not use a anchor text instead you would use the sites URL like this http://www.2createawebsites.com this is something you would naturally see. Its something that a person would just paste in when referring your site to others to visitors. If you are not using your URL in links out there catch the train and start getting that process in play, place your website URL in the backlink with no anchor text its more natural and will help your SEO. When placing anchor text in links for backlink purpose’s vary the keywords that you use in the anchor text, your main keyword phrase should not be used more than 40% of the time then use a variety of different keywords and the URL link of the page for the 60% balance. Remember the more natural the better, you can even use a small sentence with a keyword inside the sentence. Use the SEO tool to check your keyword variance and if you find you have a high percentage of some of your keywords then when you next backlink don’t use those keywords, use different ones and over time that will help to lower the percentage. Proper Anchor Text for Best SEO – Click Here! Sometimes we try to hard to get our website to rank for certain keywords and lose the perspective that we really need to have and that is what would your average visitor that wanted to recommend a link would just recommend the sites URL. Think about it, if you were recommending my site in a comment or blog post you would say something like this. I found a site, http://www.2createawebsites.com that has a lot of good web design tutorials. Or you might say. If you looking for some good tutorials on web design click here. You would not use a keyword in the anchor. The next time you are building your backlinks take off any blinders that you may have on. Spread out the anchor text to some of that generic verbiage and your site will benefit by a more realistic looking infrastructure as well as a broader base and Google will show you search engine love for a long long time. 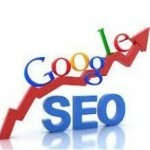 Now use the SEO tool and see if your site has been effected by any Google Panda or Penguin Updates. What Happens When You Search Google? Matt Cutts from Google tells us how Google search works. When you do a search you are not actually searching the web, you are searching Google’s index of the web. Or you could say you are searching through whatever Google has found and has it in their index. They do this with software programs called spiders. Spiders start by finding a few web pages, and fetching those pages they then follow inbound and out bound links on those pages. They then find more pages and start fetching them and this keeps going on and on each time spiders fetch a page. That page is indexed in Google servers, billions and billions of pages are indexed and it increase’s all the time. These pages are all stored by Google. Google/SEO. What does Google look for on all these millions of pages that the spiders find? That’s where your SEO will help, if you have your SEO right then it will help spiders know what the page is about. Where would be the best place to place your page on search results, the better the SEO on the page the higher it will be placed in search results. You need to have each of your pages optimized to the best that you can get them. This is probably the most important tag on your page. Make sure that its what the page is about and include at least one keyword phrase in it maybe two but don’t just place keywords. Make it as natural as you can, when thinking about what to say, think from a visitors point of view what will make them click on it. The title tag is the first tag on search results that your visitor will see, under it will be your description so a good title should let them know what the page. Make sure it catches there attention. If it does they will want to know more. They will then read the description and if that’s what they looking for they will click on it and you will have visitors. This is on page SEO, it means you can control what is on the title tag. The title tag should not be longer than 60 characters. Spiders will also use the information in the title tag to help them place your page on search search results, displaying the most relevant pages. The meta description tag is probably the next most important tag on your page. Here you can give a little more about what’s on the page. Use a few keyword phrase’s and words from the page, its a good idea to use a section from your page content as then spiders will see a exact match between your description tag and page content this also helps as your page description. Remember visitors see the Meta Description below your title tag so make sure its good, try to keep it under 160 characters. The keyword tag is not used by Google anymore, but lots of other search engines use it, you know what to do here place your keywords in it. It’s good SEO practice to have your URL with the same words as your page title or keywords this will help your page rank for those words, spiders and visitors can also see from the link what the page is about. This can make or break your site. When you want to create a new page do not plan the page around the keywords. Rather just write and have those keyword phrases in the back of your mind and when you can fit them in naturally then do so, try not to use the same keyword phrase more than three times on the page, as you could over optimize the keywords. Place good quality unique content on your site that comes from you, do not copy from other sites as Google already has that content indexed and you will be penalized and your page won’t rank. What is internal link structure? Plan your site use a top menu to create your main categories on your site then use a sidebar menu with all those pages that belong in that category include your top menu on all the pages. Lets look at my website How To Create A Website as a example. Or even this site, (this page). You will see a horizontal menu and each title in the menu is a category. You will also see a sidebar menu. 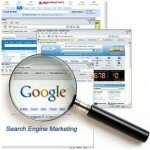 This helps visitors and search engines find more content that’s related to the category. This is also know as silo structure and is very powerful, this blog is set up in the same way. When a visitor wants to look for articles all they do is click on the article in the main menu. The page opens, here they will find all my articles on the category they clicked on. You get more page views as visitors can find what they looking for which is great but what works for visitors also works for the web crawlers or spiders which means they can also find all the pages on the site. It’s know as a good internal link structure. In other words pages for the same topic are easy to find for the visitor and crawlers, helping those pages to be indexed faster, keeping them all in one and linking the same topic pages together also helps rank those pages for the keyword search term higher in search engines. What happens when you search Google? Type a word or search term into Google Search their software searches their index to find every page that includes those search terms. There could be hundreds of thousands of search results. So how does Google find what you searched for? By asking over two hundred questions, like how many times does this page contain the keywords you searched for. Do the words appear in the title, are they in the URL. Is the content unique or copied from another site. Is this page from a quality website or is it low quality site. What is this page’s trust flow, and lots more. They combine all these factors together and give each page a score and send you back your search results, the best result will be in position one, that’s the position we all want. This all takes less than half a second. If you are thinking of building a website then we can help. Get in touch with me. Or click here to build your own website today. Good Link Building Techniques. When it comes to link building it can be a bit of a pain but you will need to do it if you want your blog or site to rank high in search engines. There are a few ways that you can get good organic links. One of the best way to get links is to participate in the community, I know what you thinking signing up to blogs and forums, write articles and then place links back to the page you want the backlink on, no not that way. A better way is to answer questions, when you read a blog post or forum post and you know the answer, then do a short post, visitors looking at the post will see your answer, realize that you know what you are talking about and visit your site for more information. Participating on social networks like Facebook, Twitter and Friend feed is a great way to get some good backlinks. Think about where people spend there time. Take Facebook for example you have a link from your site to your Facebook page and visitors have liked your page and are now members. They have done this as they find your site interesting and by posting on Facebook not only gives you a backlink but they can also see your post bringing them back to your site. Get to know those people in your social networks. Post short little interesting articles then a link to the page about the article if they want to know more they will have to click the link bringing them onto your site. Do a conference presentation. People attending will live blog it, and will link to your website this is a great way to get some free backlinks. If you don’t want to do a live conference then make a few videos and post them on YouTube with a link back to your site in the video description. Making videos can be a really easy way, you just talking and people can just watch it and get a lot of value out of it, and if its enjoyable and good others might post your videos on their sites. Remember if its on another site and people viewing the video want to know more they will go to the video on YouTube and be able to find your site from the link in the video description or your YouTube channel. Get a blog and establish yourself as a authority. Its not that hard to do and you can post all your latest updates about your site or make a post about your topic or business. People will slowly start to follow your blog if its got good content. Use your blog to establish yourself, its your online business card. Use it to build your profile on the internet. Write good quality articles. If you know how to do something that you think others would be interested in post it on your blog. Maybe you watch a video and think its good if it relates to your website then post it as well, the same applies to articles. Maybe your blog won’t get you lots of links but if the content is good and unique search engines could rank it high and visitors could find you from it. Visitors that find it interesting will subscribe to your posts and every time you make a new post they could get a email to notify them bringing them back. They can also comment and respond to comments on your blog. Start a blog using WordPress its one of the best blogging platforms to use. Try to make sure your site has good site architecture. 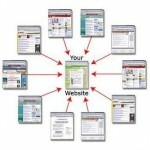 How sure are you that your site can be crawled, can search engines and visitors get to all the pages on your site. You might think of course they can its a website think again lots of Webmasters mess this up. Good site planning is very important, use a silo structure for you links, make sure your site has a site map and its up to date, this way visitors and search engine crawlers will be able to find all your content, each page on your site has the opportunity to rank on the first page of search results, make sure search engine bots can find your pages on your site. Remember nothing beats good unique quality content when you build a website, its no good using link building techniques if your site does not have good content you are wasting your time. Before you start writing your page content have a clear picture in your mind what the page is about then use the Google keyword search tool. It will help you find keyword phrases that you can include when you write your content. Type in a keyword and it will give you keyword phrases based upon the keyword typed in, the best part is it will also tell you the number of people that use that search term, and using those phrases in your content will help you rank for that phrase and you will know the number of people searching for that phrase. No point in using keywords that no one searches for. Google does not use the keyword tag anymore so it really is all about the content and having strong keyword phrases mentioned in your content will help Google to know where to place your site in its search results. Be careful do not base your content on the keyword phrases rather use them when you can and don’t over do it by placing a lot of keyword phrases in the content as it won’t get you anywhere. 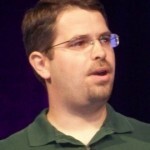 Matt Cutts of Google tells us what we can expect in the coming months from Google. We all work hard on our website’s to get high ranking’s, one of the best ways to find out whats new is to follow what Matt says about Google and SEO, it will lead you in the right direction on the best way to optimize your site. Google is always changing, trying to better itself and wants to have the best website in the top position for the search term that has been searched. In the above video he explains some of the changes we can expect in the coming months. Penguin 2.0 will soon be upon us, this is a web spam change that will try to find black hat web spam and clean up the web. Google will also be looking at site’s that sell links for page rank in the near future, there are a lot of sites that will offer you a high page rank link back to your site for a monthly fee, be careful do not purchase links from those sites or sell links if you have a high page rank on your site, you could be penalized. They should not float page rank, if you want to sell links make sure you let users know they are paid links with a disclosure. Communicating with site owners when their sites have been hacked through Webmaster tools, so it’s a good idea to sign up, that way you will get a message when your site has been hacked, there are a lot of other benefits to using Webmaster tools to help analyze your site and how it’s doing. Also submitting your site map in Google Webmaster tools will help let Google know all your sites pages and every time you create a new page or post your site map will include the new page or post and ping Google, helping to index the page as soon as its been done. If you have been doing good high quality content when ever you doing SEO then you won’t have much to worry when it comes to Google changes, if you been on black cat forums and using different types of spamming software and tips you might have a problem with Google and your SEO. With the new Panda update sites that were on the border of the last Panda update and were hit may be helped to regain some of their ranking’s.